Thought you have to go abroad if you want to see truly spectacular scenery? Think again. We Brits can boast of golden Caribbean-esque beaches, majestic snow-capped mountains and lush vineyards on our doorstep. Could it be? Pretty white lighthouses and the odd dramatic cliff face bring to mind Cape Cod, on the USA’s east coast. All is revealed: It’s not New England – but then it’s not old England either. It’s actually Anglesey, in north-west Wales. Fun fact: This Anglesey village has the longest name in the world: Llanfairpwllgwyngyllgogerychwyrndrobwlllantysiliogogogoch. I want to visit! 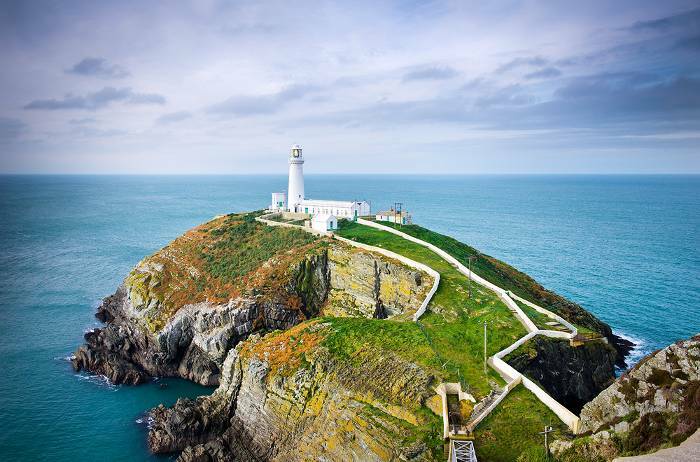 Bangor and Caernarfon are a great base for exploring the island of Anglesey. Could it be? Just look at those golden sands and turquoise waters…we’d put our money on the Canary Islands. All is revealed: It’s Cornwall! These holidaymakers are enjoying one of the county’s most popular spots: Porth Beach in Newquay. Fun fact: The largest ever Cornish pasty, made in 2010, was over fifteen feet long and weighed nearly a ton. I want to visit! 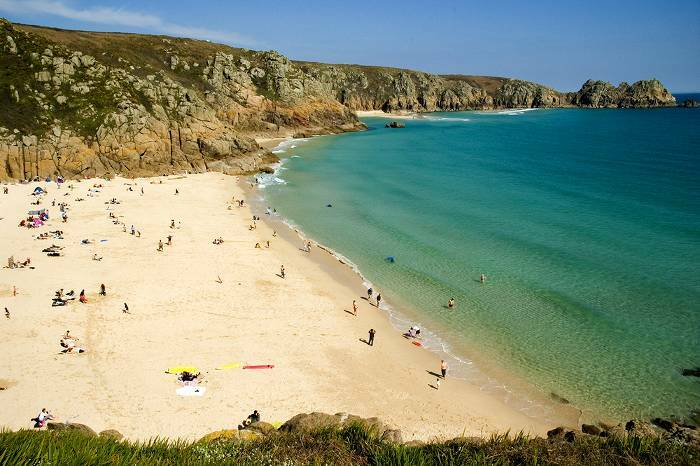 With dealchecker you can find plenty of cheap Newquay hotel deals. You’ll be enjoying a cream tea in no time. Could it be? Vines stretching out over rolling green hills…the French regions of Provence or Bordeaux spring to mind. All is revealed: This is in fact the Three Choirs Vineyard, in the heart of the Cotswolds. It doesn’t get much more English than that. 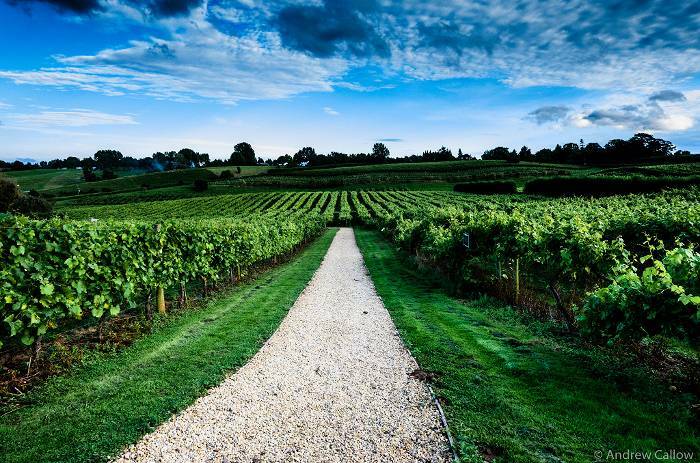 Fun fact: Fiddlesticks to our mild, drizzly climate – would you believe there are over 400 vineyards in England and Wales? And there are even four in Scotland! I want to visit! The vineyard can be found in Newent, Gloucestershire. Grab a hotel deal in nearby Gloucester or Cheltenham. Could it be? The colourful architecture, domed roofs and palm trees put us in mind of a dreamy Italian village like Portofino. All is revealed: Though indeed modelled on the Italian style, the village of Portmeirion can actually be found in North Wales. 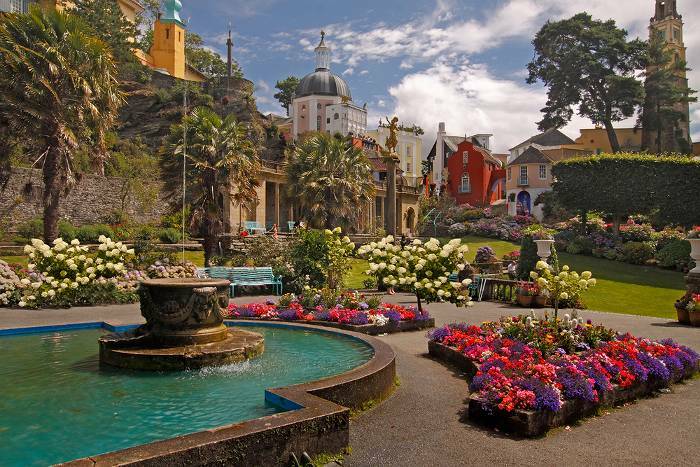 Fun fact: Portmeirion was designed in 1925 and was the setting of 1960s cult TV series The Prisoner. I want to visit! There are plenty of hotel deals to be found in Portmeirion and nearby Porthmadog. Could it be? We’d be convinced this was a wintry shot of the Canadian Rockies, if only those sheep were moose. All is revealed: This is actually a beautiful, crisp day in Snowdonia National Park, home of Snowdon, Wales’s highest mountain. Fun fact: On a clear day in Snowdonia, you may be able to see Ireland, the Isle of Man and the Lake District. I want to visit! 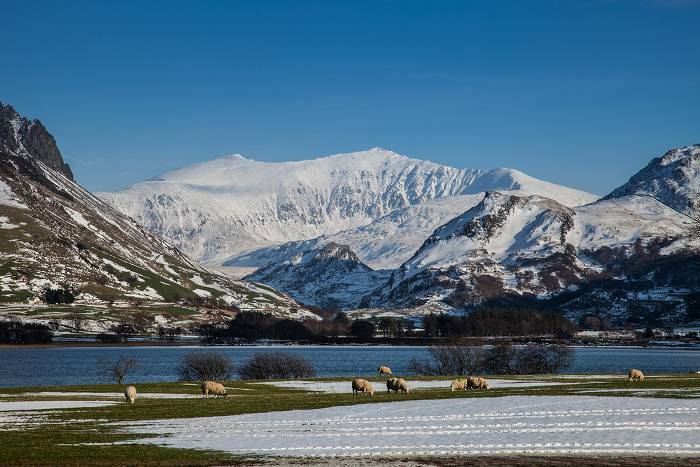 Bangor and Caernarfon aren’t just handy for visiting Anglesey, but Snowdonia too. It’s all happening in North Wales! Could it be? The onion-shaped domes on this quirky, eye-catching edifice are reminiscent of stately Indian palaces. 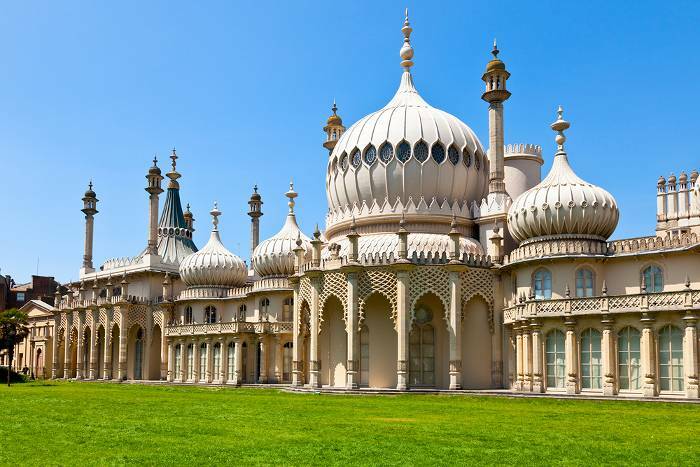 All is revealed: In fact this is the Royal Pavilion, built for the Prince Regent, in the English seaside city of Brighton. Fun fact: Brighton is brimming with old things. It’s home to the world’s oldest operational aquarium, the UK’s oldest operational cinema and the UK’s oldest public railway. I want to visit! Here it’s often buzzing with visitors, but don’t worry – we’ve found plenty of cheap Brighton hotel deals to go round. Could it be? This looks to us like a tropical island getaway, perhaps Mauritius or the Maldives. All it’s missing are cocktails. 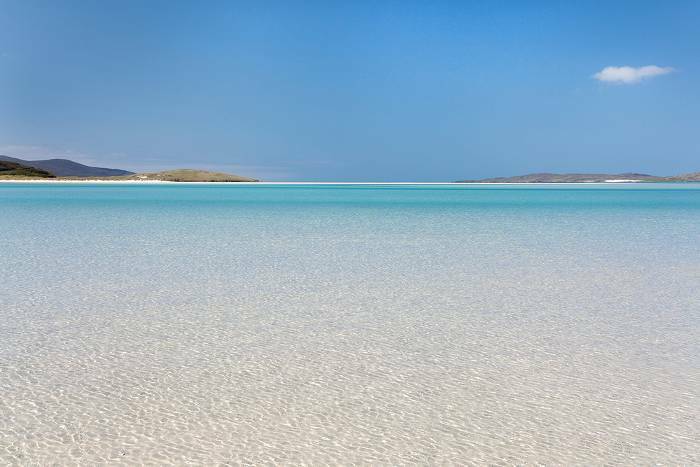 All is revealed: These crystal-clear waters lap the shores of the Isle of Harris…in Scotland’s Outer Hebrides. Seriously. Fun fact: Scenes from 2001: A Space Odyssey were filmed on Harris – its ancient rocks starring as the surface of Jupiter. I want to visit! Stornoway is the biggest town in the Outer Hebrides and is your best bet for a cheap hotel deal. Could it be? This imposing castle – or should we say chateau? – wouldn’t look out of place in the French countryside. 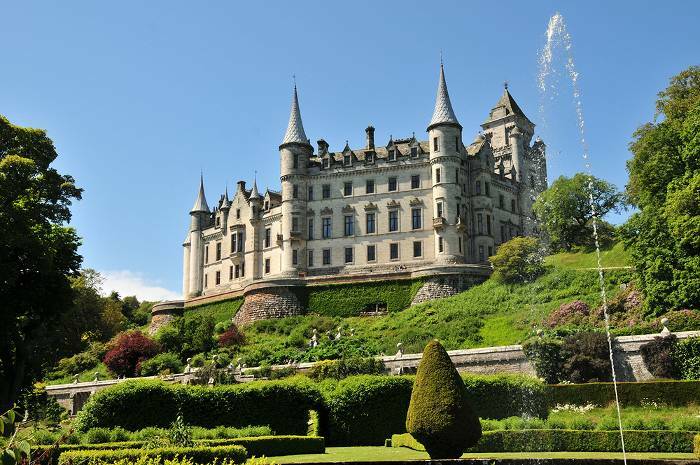 All is revealed: You can actually find Dunrobin Castle in the Highlands of Scotland, in the county of Sutherland. Fun fact: The castle’s architect, the Victorian Sir Charles Barry, also designed London’s Westminster Palace. I want to visit! The nearest major town to the castle is Inverness, where you’ll find the most hotel deals. What’s your favourite piece of scenery in this green and pleasant land? Let us know in the comment box below!